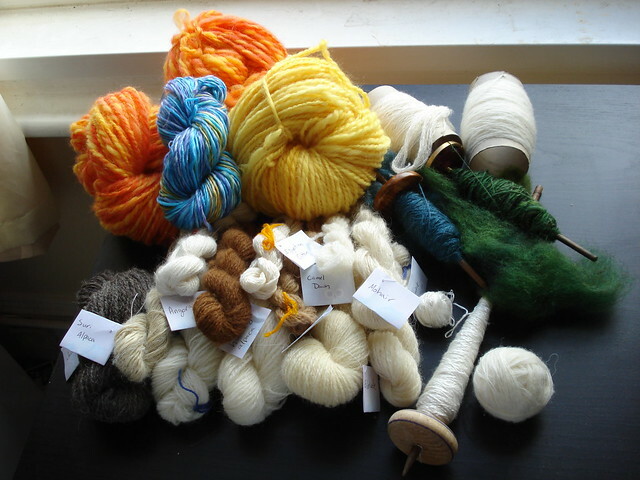 Some of those were already WIPs before the tour started, that I finished (like the red & yellow skeins of heavier yarn). Still, I am very pleased with my productivity. I also managed to spin 12 different breeds for my fiber sampler project, though of course I have a lot more samples to go! More on that later.